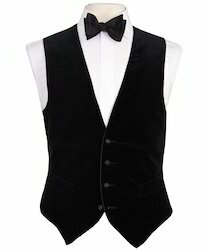 Our range of products include bell boy uniforms, aprons hotel uniform, hotel uniforms, round neck chef coat, waiter uniform and housekeeping apron. Bell Boy Uniforms to cater to the several requirements of customers, we offer these uniforms in a wide range of colors, sizes and other associated specifications at market-leading prices. Besides, we make sure that these uniforms are delivered at clients' at, after checking each and every dress severely. Aprons Hotel Uniform is specially designed for the kitchen staff of the hotels and restaurants. Our wholesaled aprons hotel uniform is made from stain resistant fabric for ensuring cleanliness of the uniform. 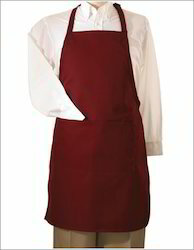 The supplied aprons hotel uniform is easily available at very cost effective market rates. Hotel Uniforms are specially designed for the chefs and waiters of hotels. Our supplied hotel uniforms are worn by hotel staff of highly reputed and well-established hotels, across the country. The wholesaled hotel uniforms are available at very reasonably economic and cost effective market selling price. We are offering Chef Coat Round Neck. 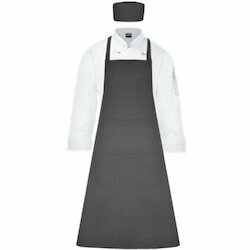 This Chef Coat is designed to wear, wash and perform at a reasonable price. We are the foremost organization actively engaged in offering precisely designed Waiter Uniform. The offered uniforms are stitched with the help of supreme quality fabric material and modular machines, in compliance with set industrial norms. Moreover, post manufacturing process goes through a series of practice tests, ensuring high efficiency and flawlessness. These uniforms are available in various shapes, colors, sizes, and designs. Clients can avail these uniforms from us at market leading prices. 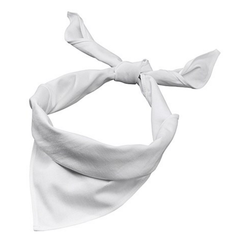 We are one of the well-known manufacturers, suppliers, and wholesalers of House Keeping Apron. The offered housekeeping apron is specially designed for the housekeeping staff in organizations such as hotels, restaurants, and offices. Our supplied housekeeping apron is made from very comfortable and skin friendly fabric, to ensure the flexibility for the wearer. The wholesaled housekeeping apron is available at very affordable market rates. Hotel Chef Blazer Uniform is designed and developed using best quality fabrics and using top quality fabrics and following the latest fashion trend. Owing to its perfect fit and stylish appearance, these blazers are extensively recommended by clients. 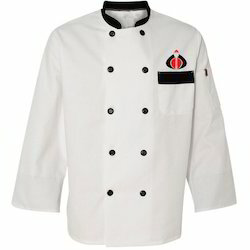 We are offering Chef Coat. 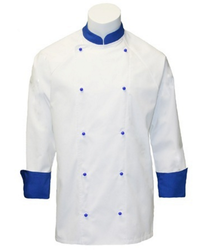 This Chef Coat is designed to wear, wash and perform at a reasonable price. 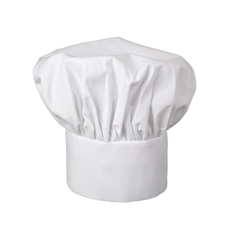 We are offering high-quality Hotel Chef Cap to our clients.Also, we customize our products' shape, size, material, neck shape, sleeves etc. as per customer requirement. Kitchen Apron offered comes in the quality material finish as well as can be made available in waterproof and easy to wash finish. The offered apron is specially designed for the kitchen staff of the hotels and restaurants. Our wholesaled apron is made from soft and stain resistant fabric for ensuring cleanliness and comfort. 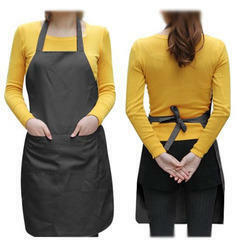 The supplied apron is easily available at very affordable market rates. We deal with all of the mentioned Hotel Uniforms Accessories. Looking for Hotel Uniforms ?